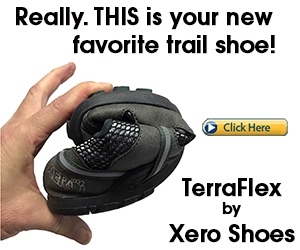 If you do a lot of long distance road running, on the trails, or on the treadmill, or if you are looking for a durable, thicker-soled minimalist running shoe that is incredibly well-constructed and one that keeps your feet warm during cooler weather, the Skora Form has an upper made entirely of goat skin and an inner-lining made of sheepskin, helping your feet retain optimal warmth in the coolest of weather. The Skora Form can take a lot of beating, making them great for endurance runs and obstacle course races, and after all that, they still smell like brand new leather! Because of it’s low heel construction, the Skora Form is optimized for forefoot running and it’s durability is the perfect match for ultra runs on the pavement. The overall flexibility of the shoe bends resistance-free with your feet, giving a more barefoot-feel as compared with most conventional running shoes. I also love that the fit of the shoe, especially in the midfoot and forefoot, matches the contour of your foot’s anatomy. In comparison to most barefoot-like running shoes, the Form does have more cushioning, however the cushioning is not squishy, so you are still able to get a good sense of your landing and does not compromise your forefoot strike. The shoes feel similar to the Brooks Pure Connect 1 and the Merrell Bare Access 4, but the toe box of the Skora Form is much wider and the overall integrity of the shoe is more flexible. Like all Skora running shoes, The Skora Form features an asymmetrical lacing system for a secure fit. 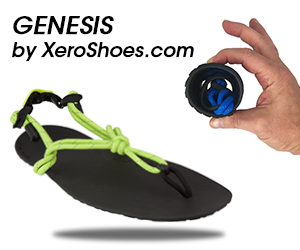 Extremely durable; other wear-testers have 1500 miles on a single pair! The Skora Form is very soft inside, lightweight, breathes well and comes with a removable insole. As for sizing, they do fit like a glove, so you should select a half or full size down from your normal size. 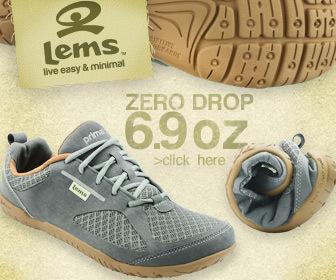 Unfortunately, the Skora Form is no longer available, however the next best alternative to the shoe is the Lems Primal 2! If this review has helped you, you’ll find my other reviews on minimalist shoes for forefoot running really helpful, too!